As a start-up you face massive challenges and tasks. Incorporation is just the beginning. B&D offers many products and services to help you grow and manage your business. As your needs evolve, we'll stand by you. Let us focus on the details so you can focus on running a profitable business! We bring you together with hands-on mentors and experts that support you with entrepreneurial experience and specialized know-how. We encourage and support young companies from the first growth phase until market success, helping them getting reputation and creditworthiness without giving up their independence. Leveraging the experiences and networks of our partners and advisors, we provide our portfolio companies the resources they need to expand their businesses. With this understanding, we find the right investor for your business. All you have to do is to pitch your business! Are you ready for the challenge? Our focus is, primarily in Germany but also in Europe. Please check out the areas, in which we are looking for outstanding business ideas – note that they are not comprehensive and that we are also interested in other disruptive ideas. We are looking for entrepreneurs with great ideas that can evolve into lasting global businesses. Starting a new business means more than just ownership. 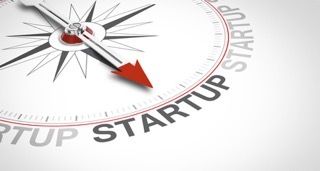 Launching your own start-up entails dealing with various amounts of paperwork and compliance at the state, federal, and local levels, as well. Additionally, there will come a day when you hope to expand your small business into something much greater. To discuss potential investment or advisory services, please send us your pitch deck or business plan to info@bd-globalbusiness.com. Your presentation should contain information about your product or service, market, competition, team, your value proposition, financials, and your investment needs.